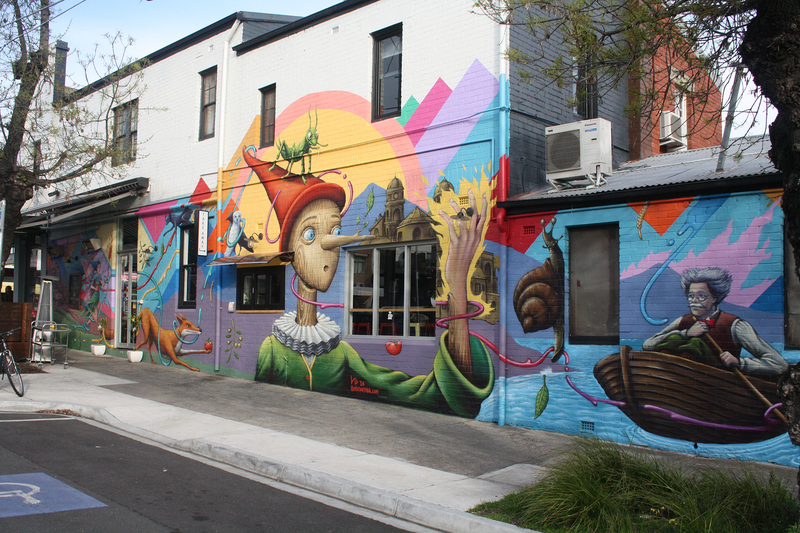 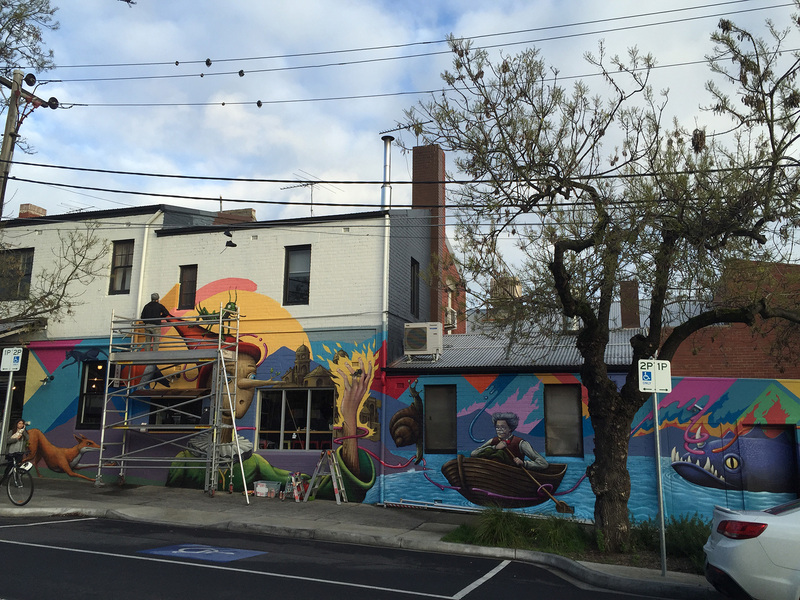 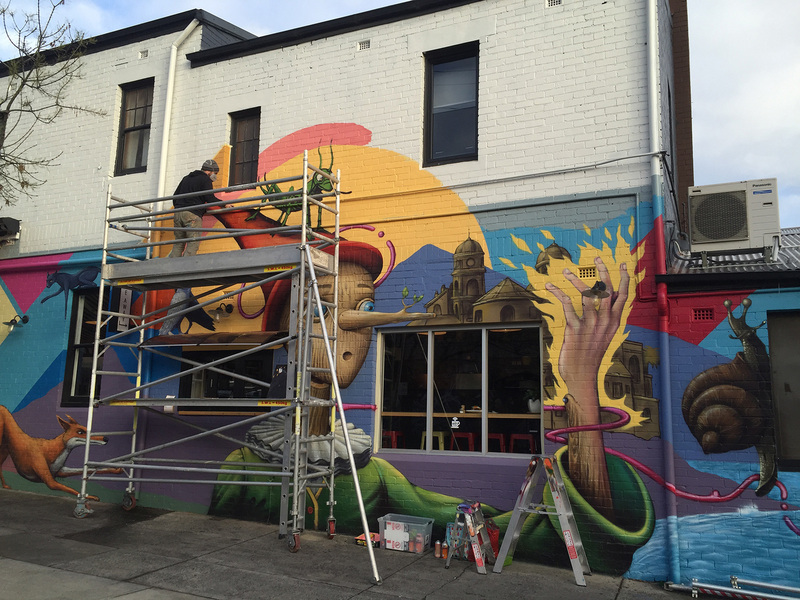 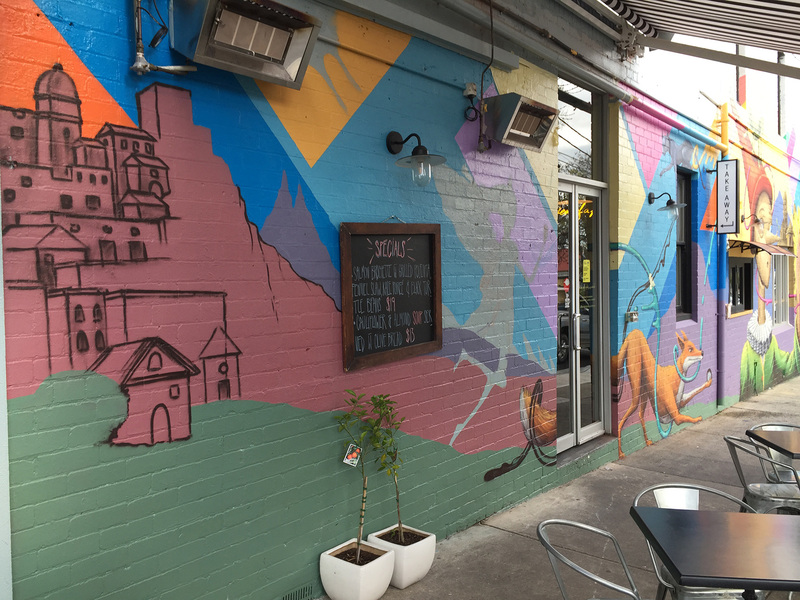 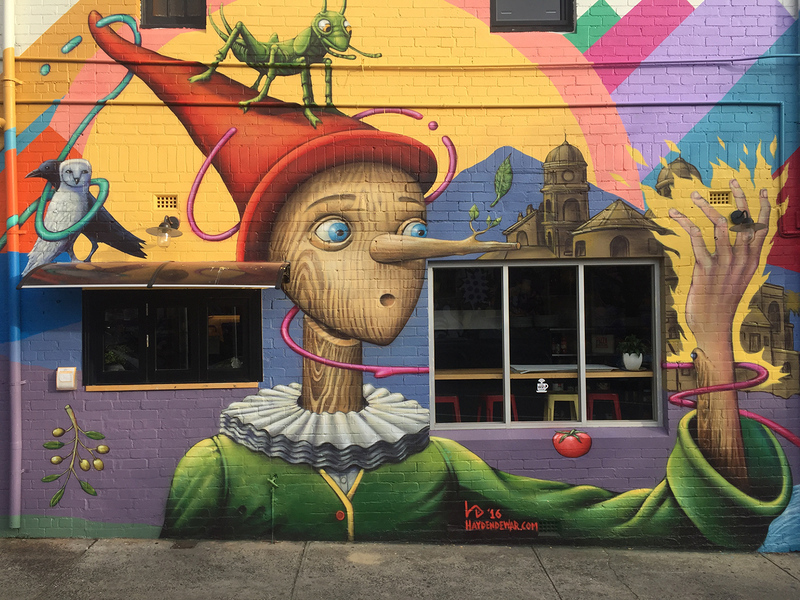 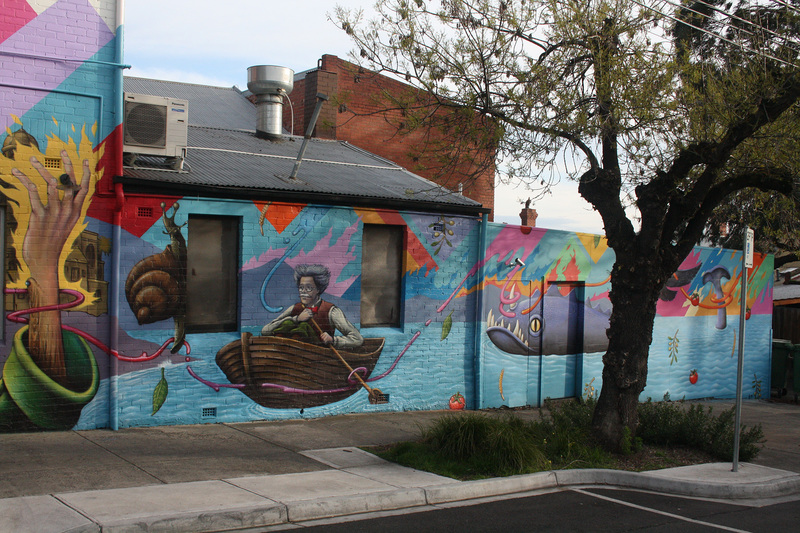 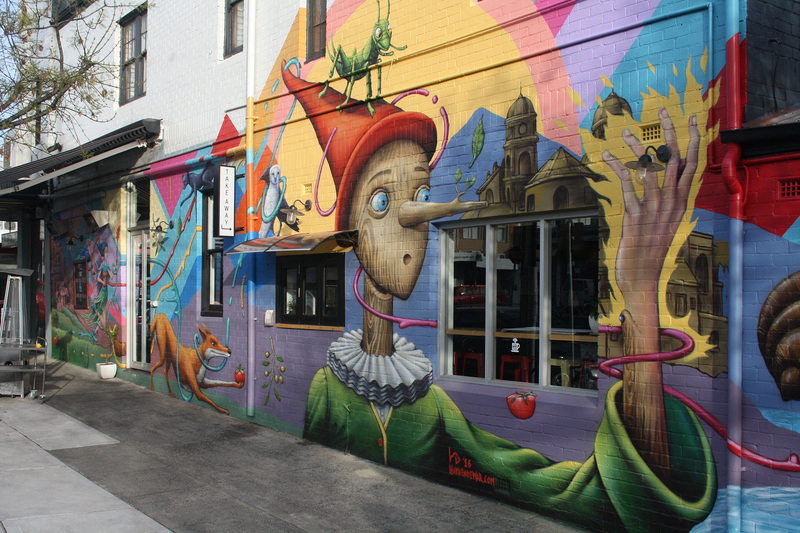 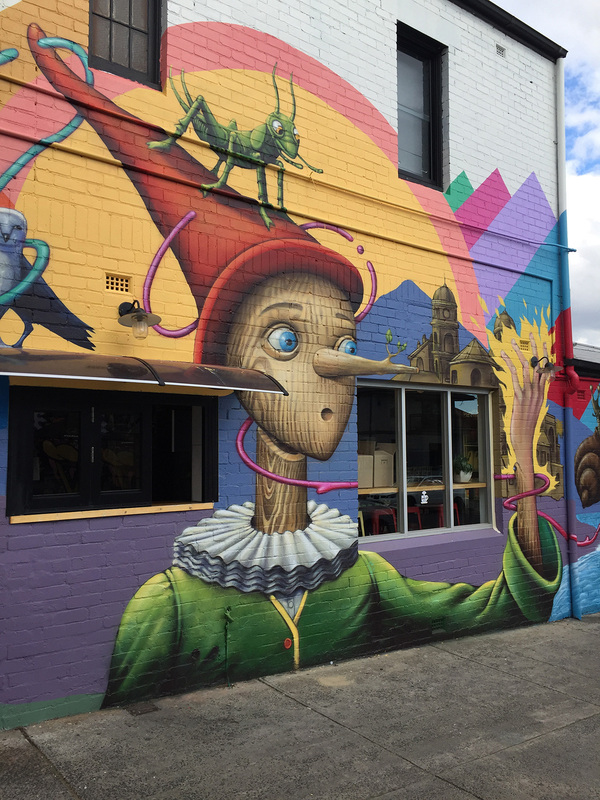 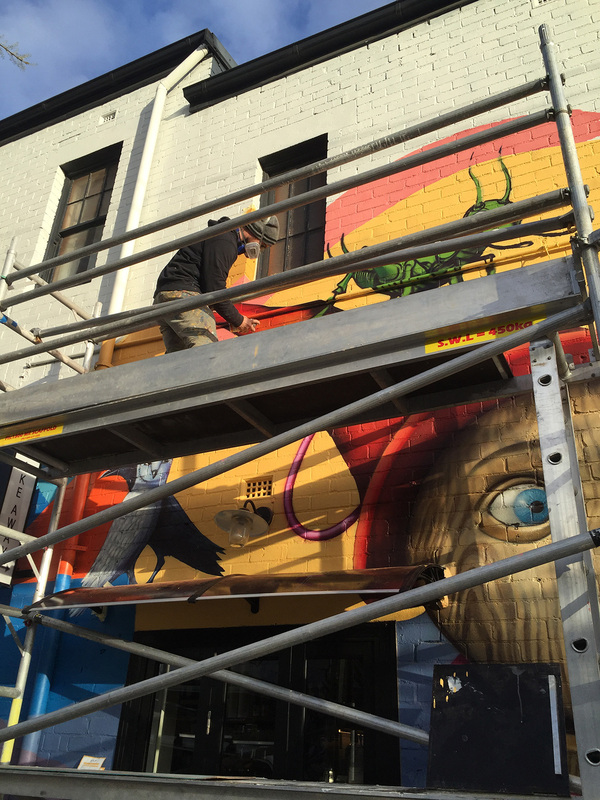 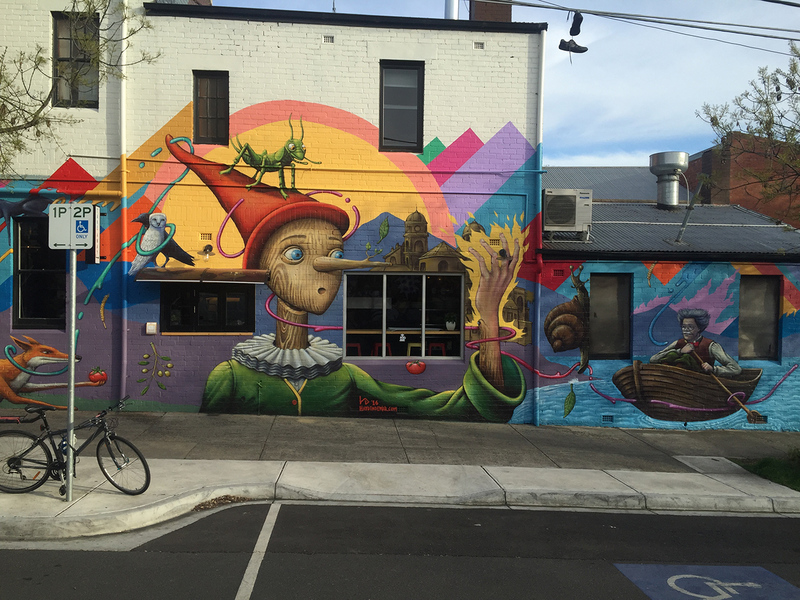 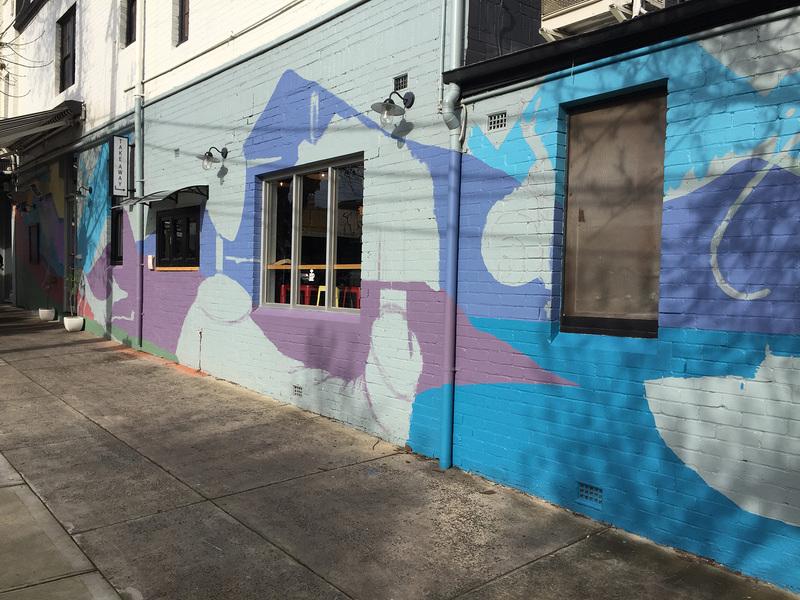 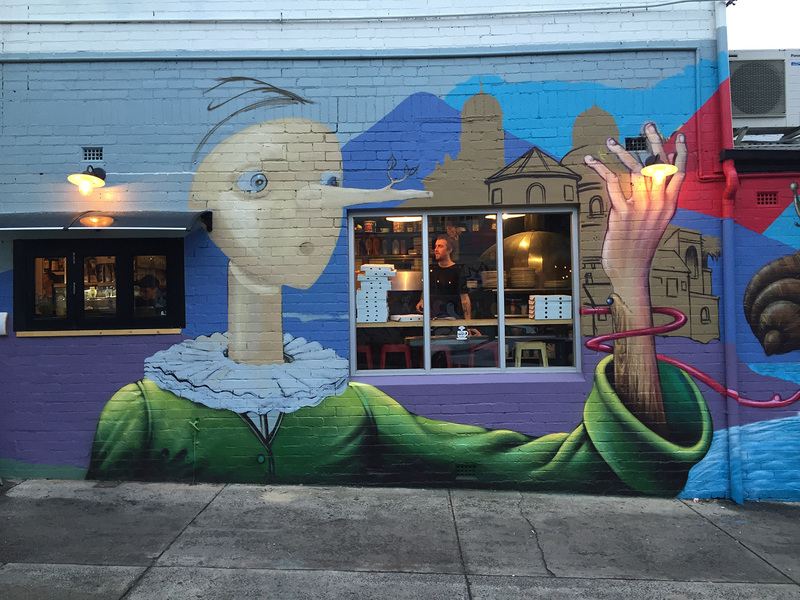 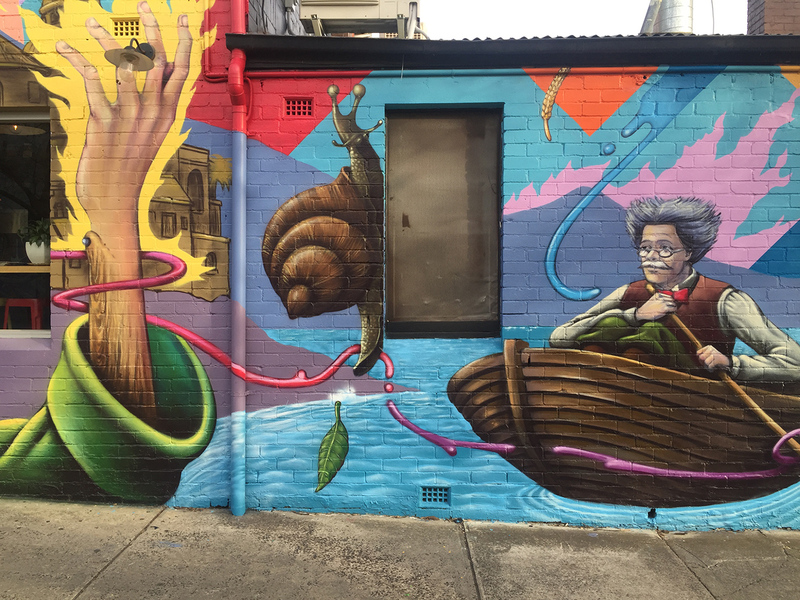 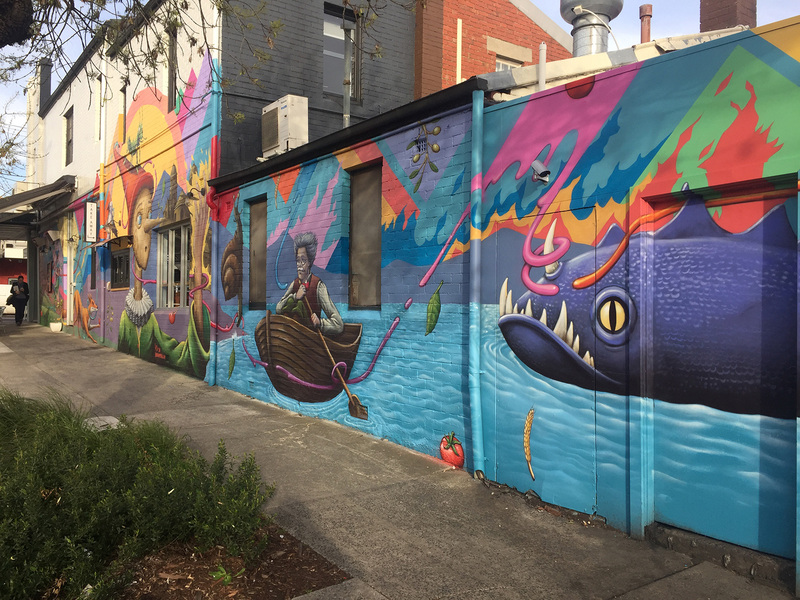 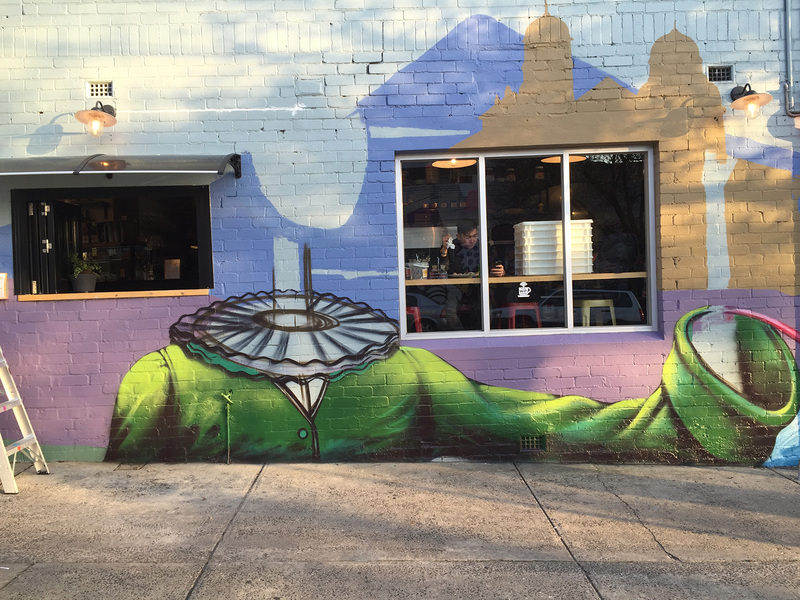 In July 2016 I designed and painted a thirty odd meter long Pinocchio themed mural for italian restaurant ‘Son of a Pizzaiolo’ in Thornbury (Melbourne). 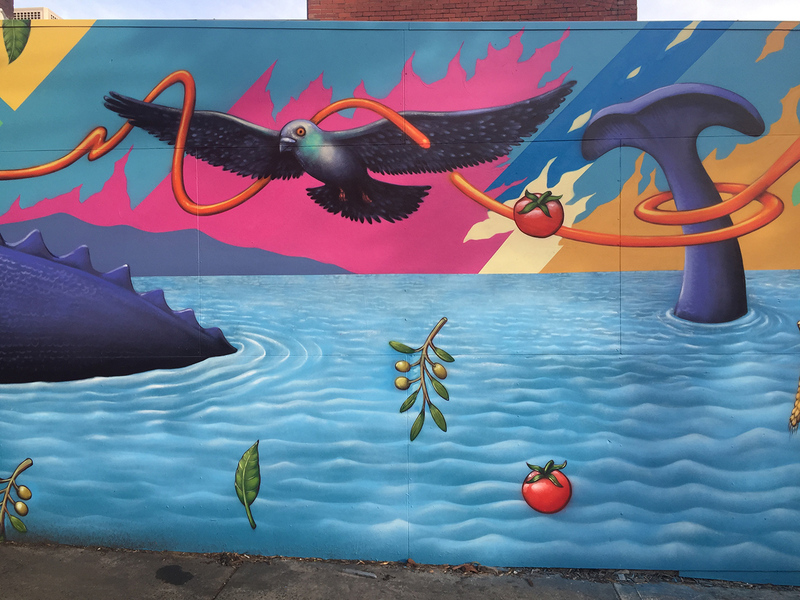 After some discussion with brothers Frank and Roque Romano at SOP we were on the same page with the basic criteria of making a subtle reference to their italian heritage while also showcasing some playful and vibrant imagery. 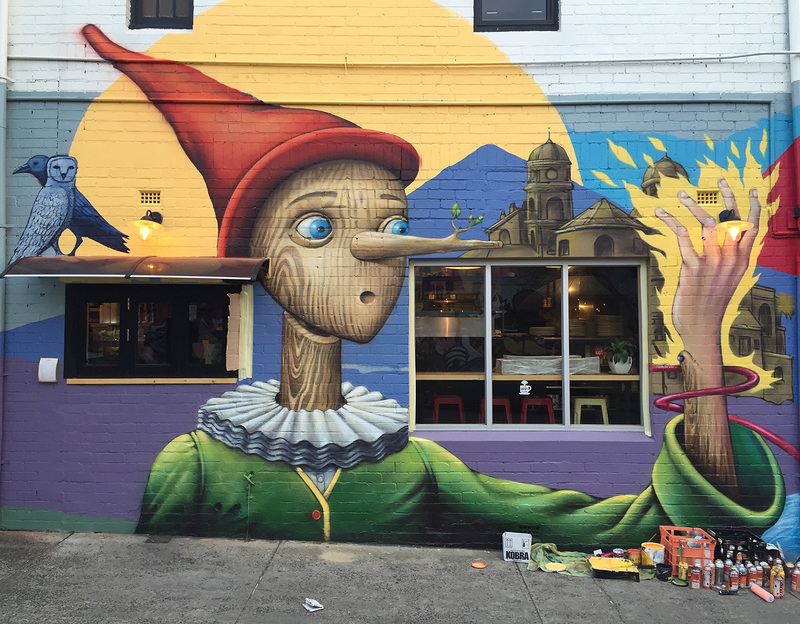 The guys suggested Pinocchio as a theme and were happy to let me do my own spin on it. 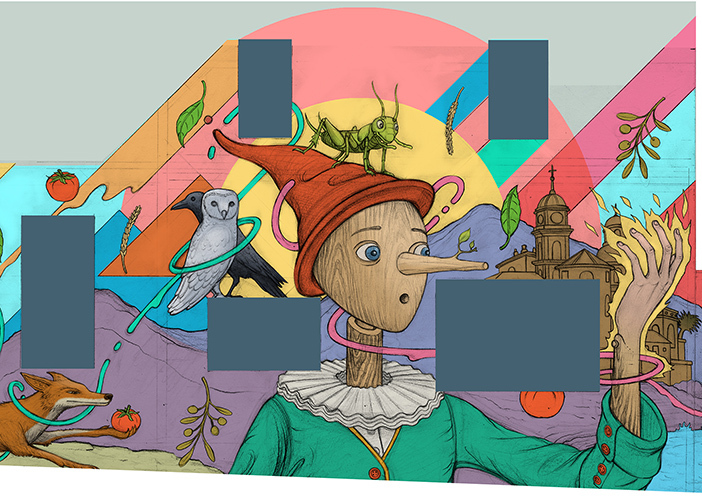 After reading the original Pinocchio story by Carlo Collodi, I was completely inspired by the bizarre and surreal nature of this old tale and began sketching ideas immediately. 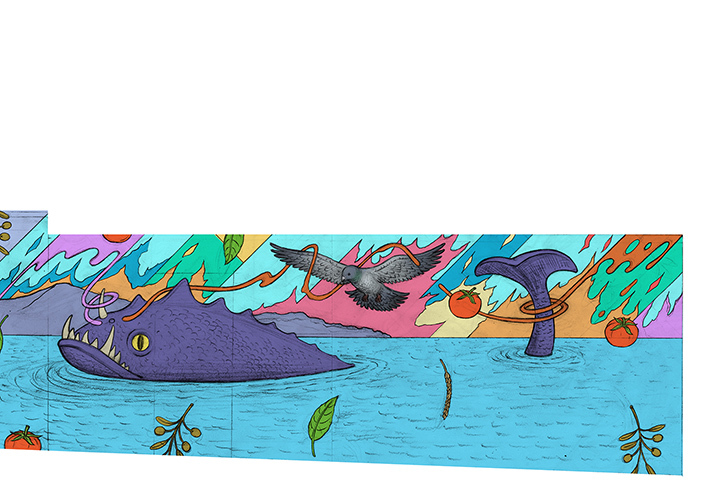 I ended up fitting most of the characters from this (character packed!) 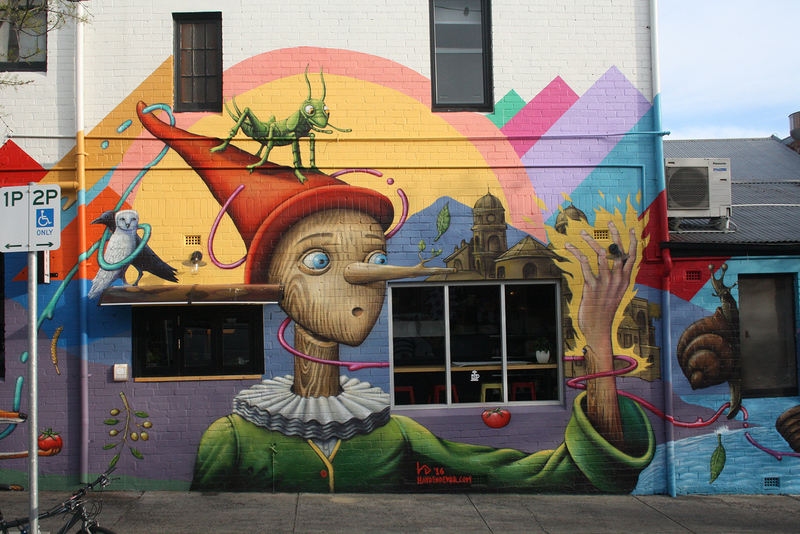 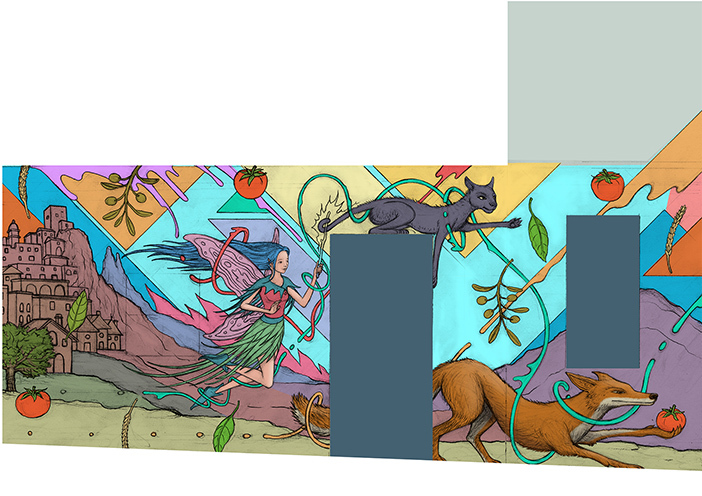 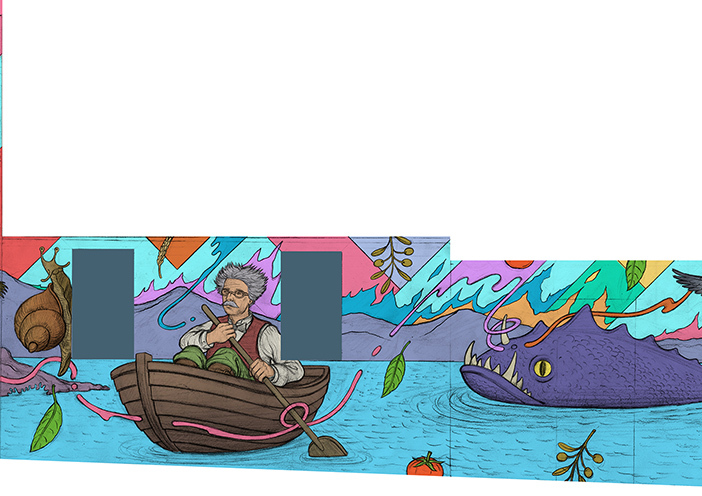 story into the mural, with Pinocchio staring at his hand as he transforms into a ‘real boy’ as the centre-piece. 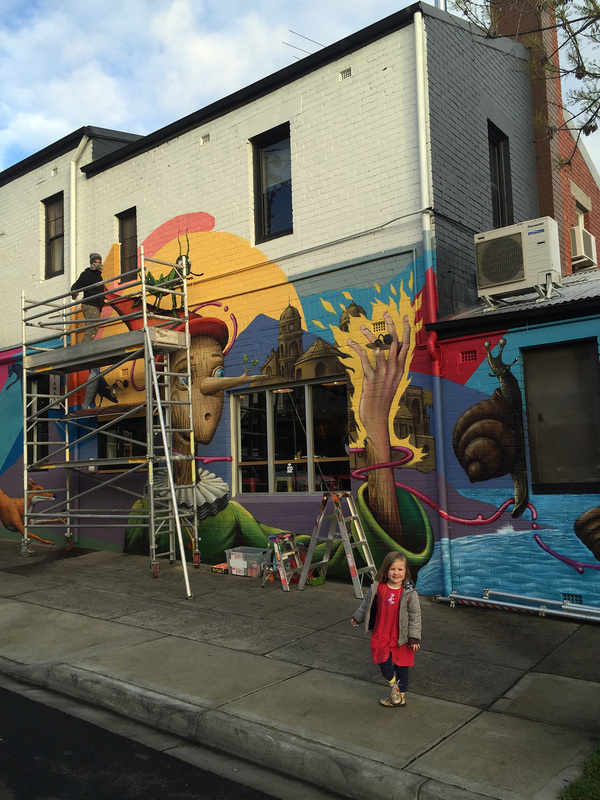 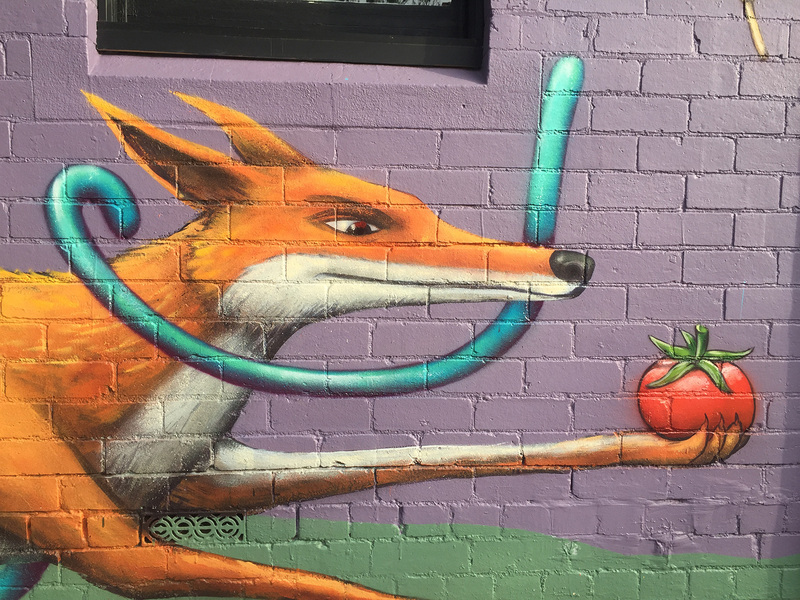 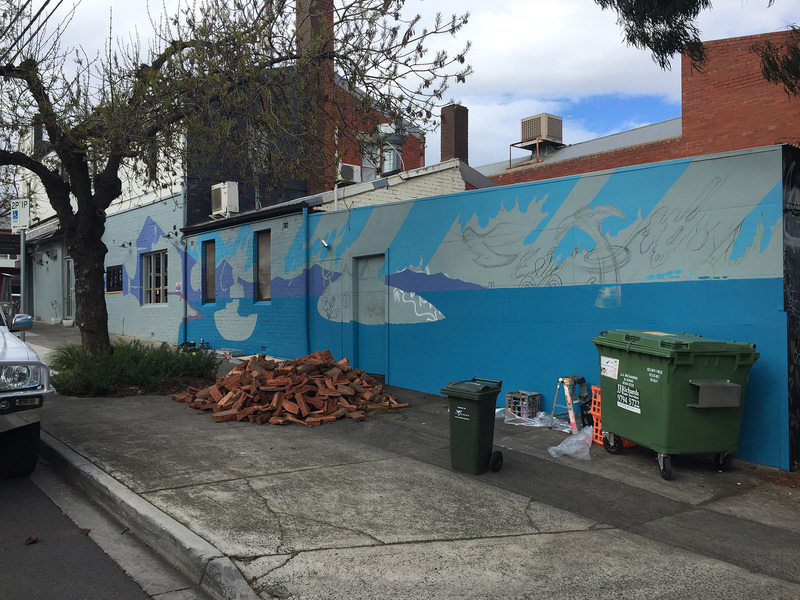 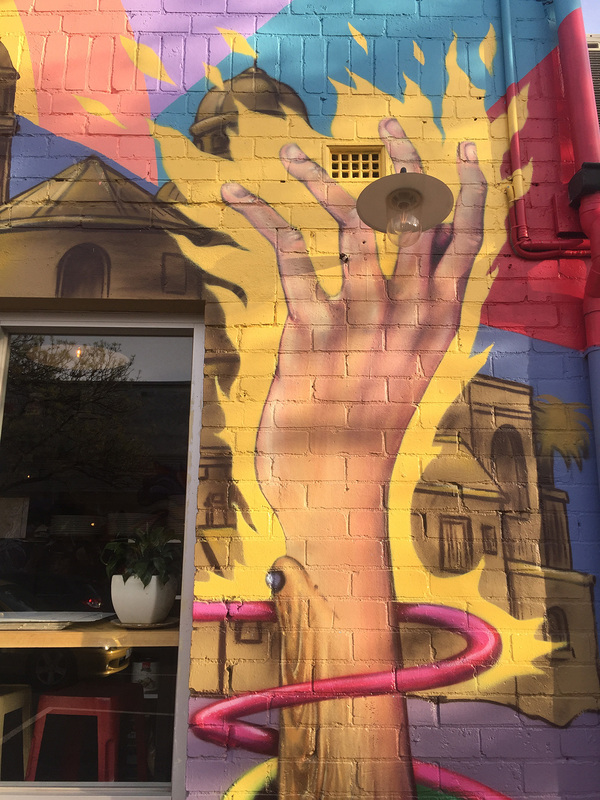 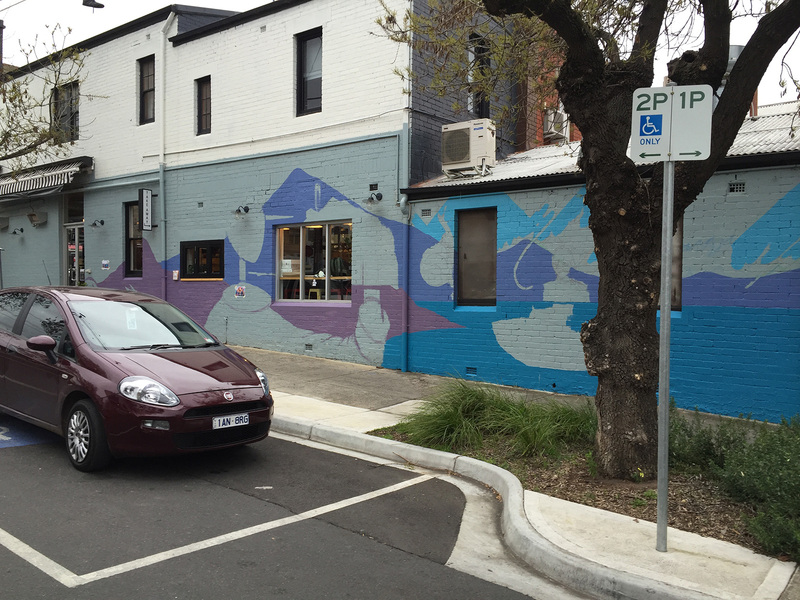 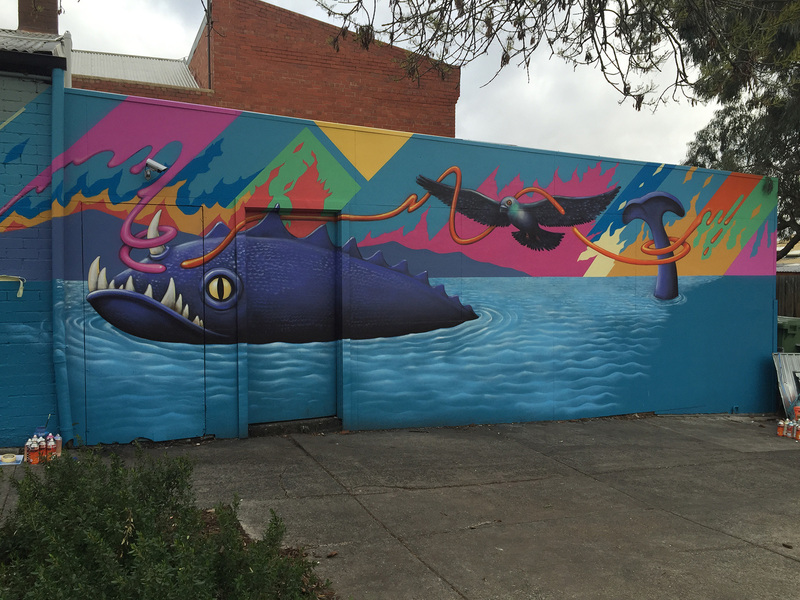 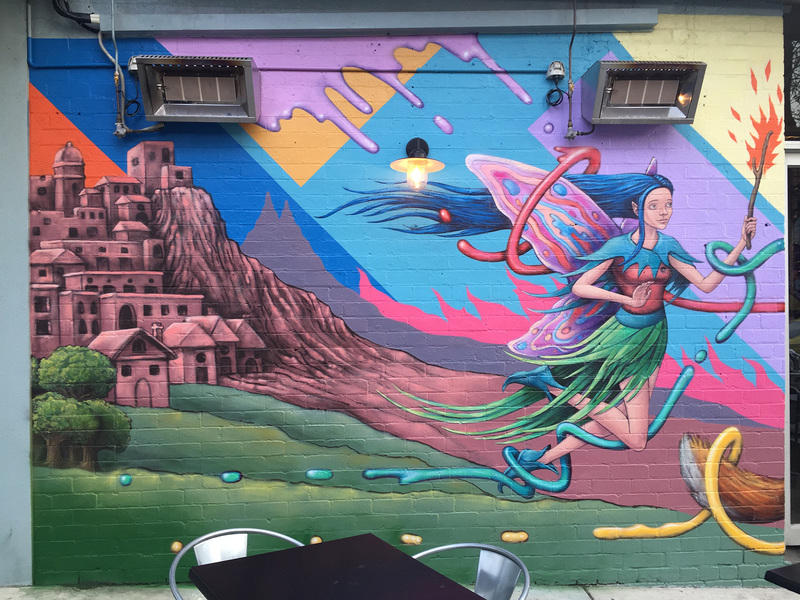 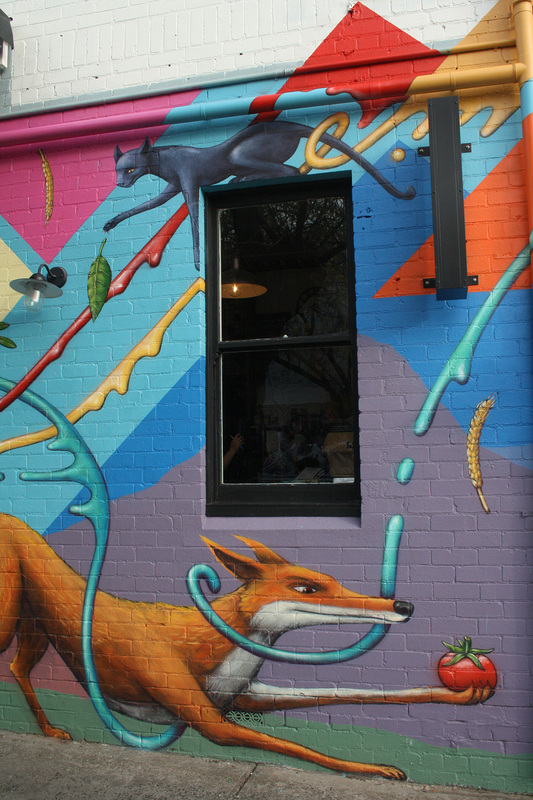 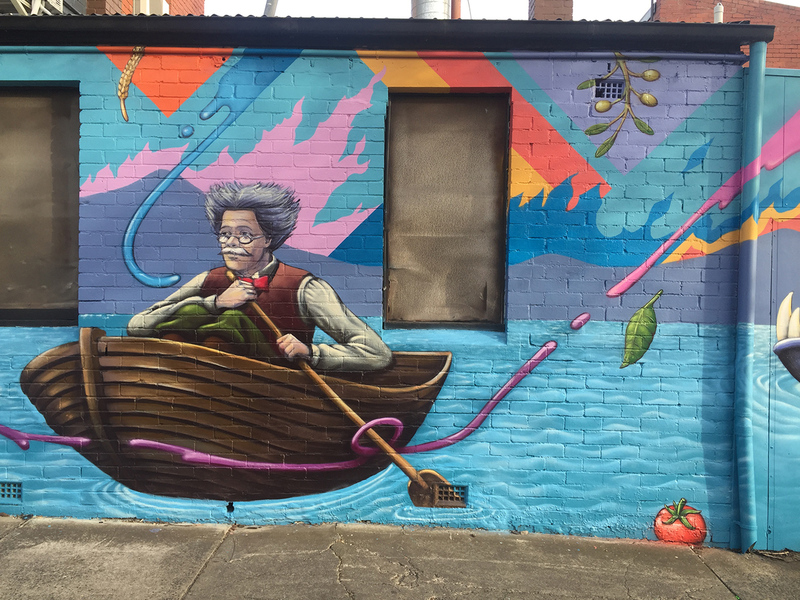 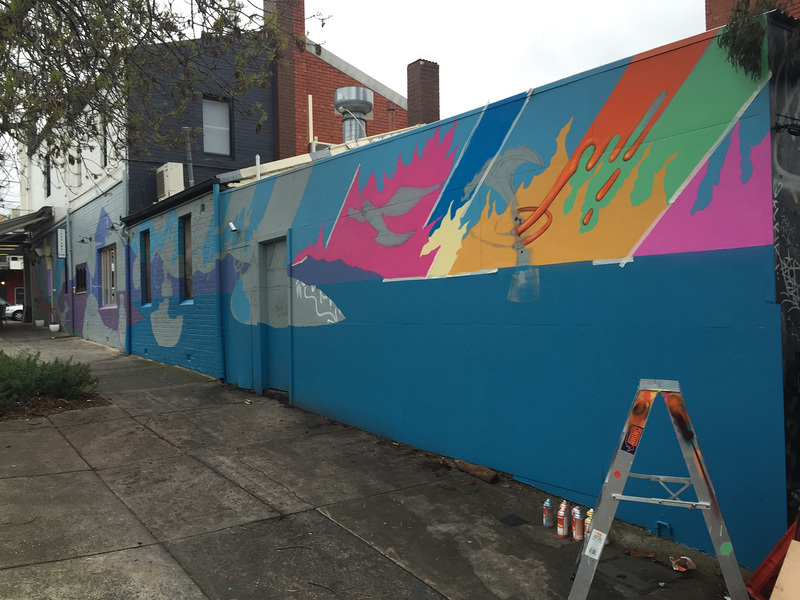 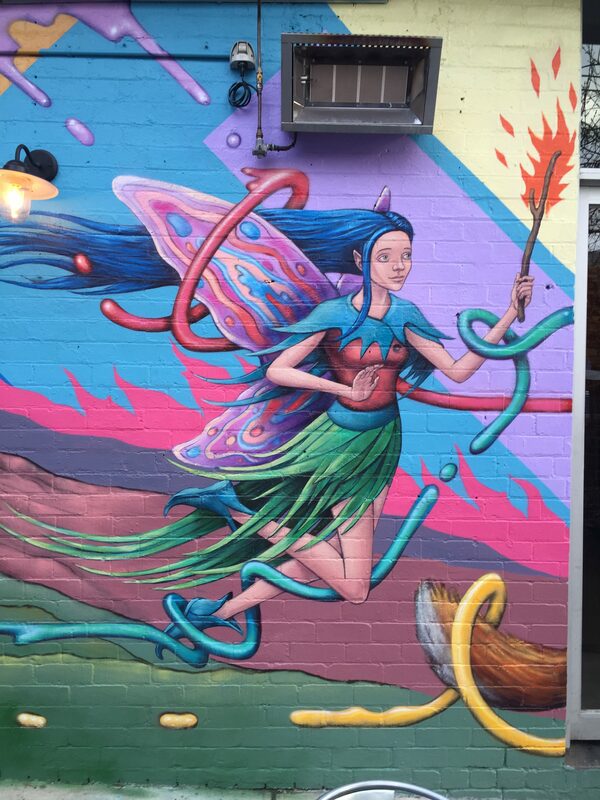 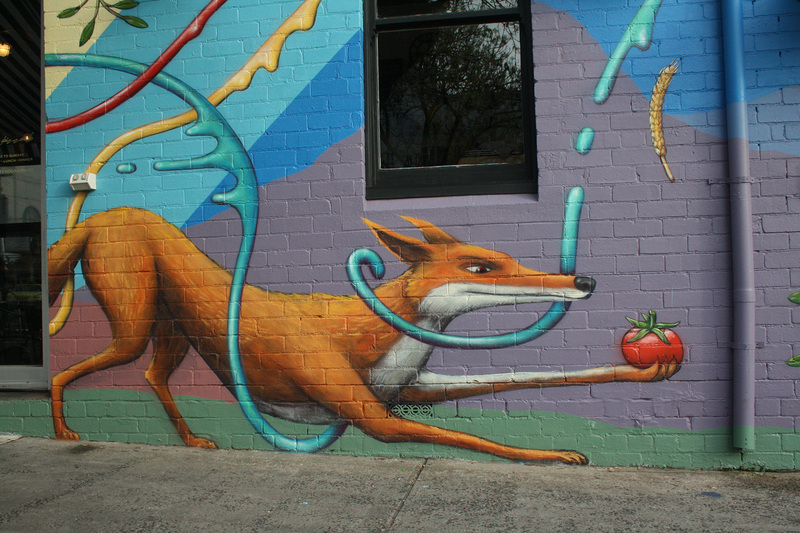 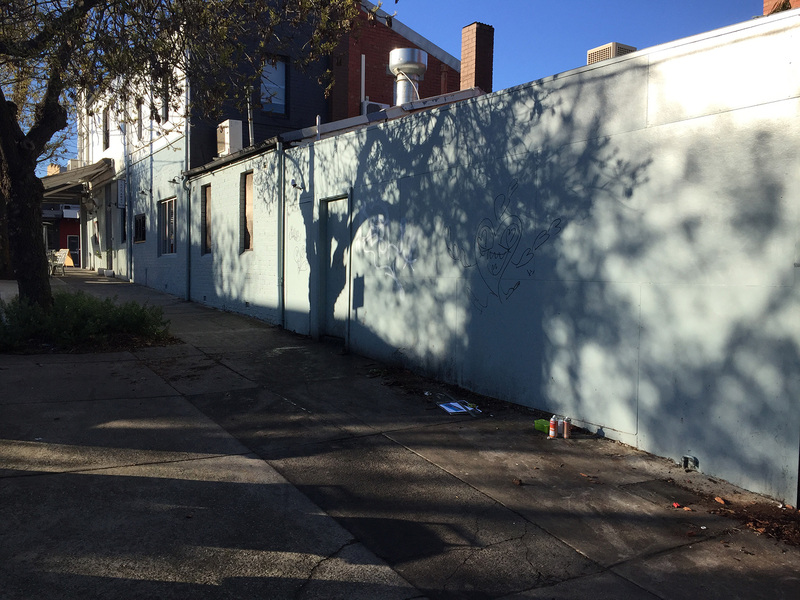 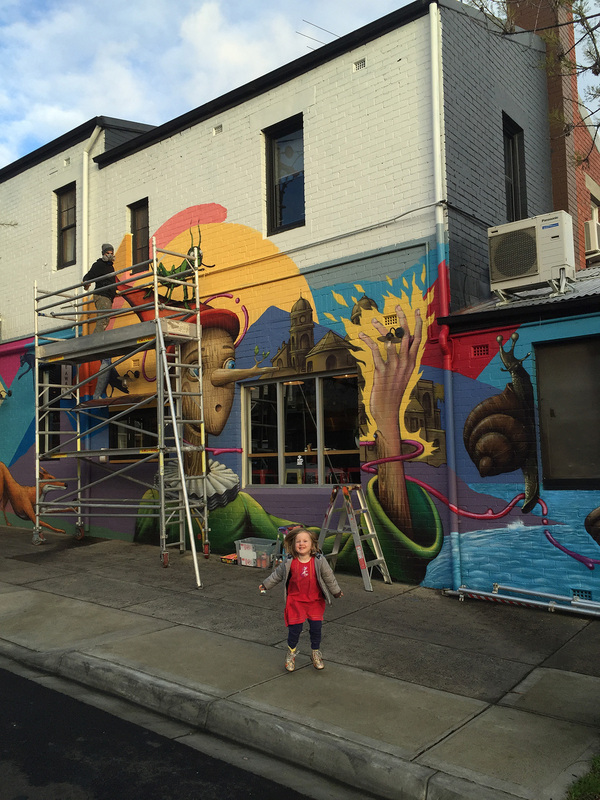 The mural is located on the Blythe street wall of Son of a Pizzaiolo restaurant at 875 High street Thornbury. 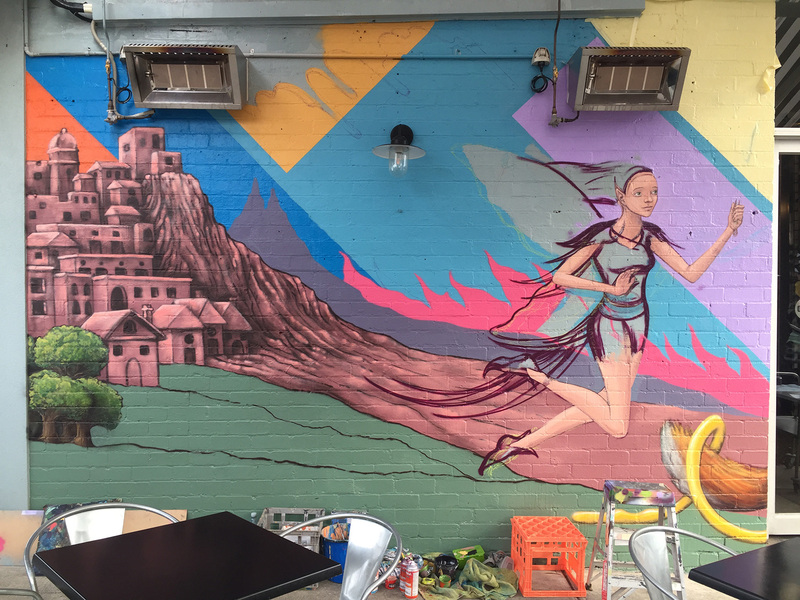 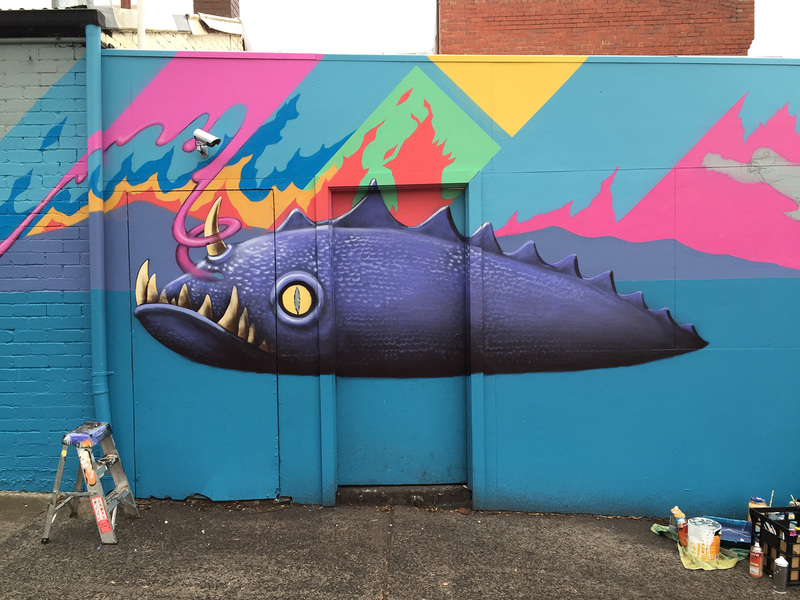 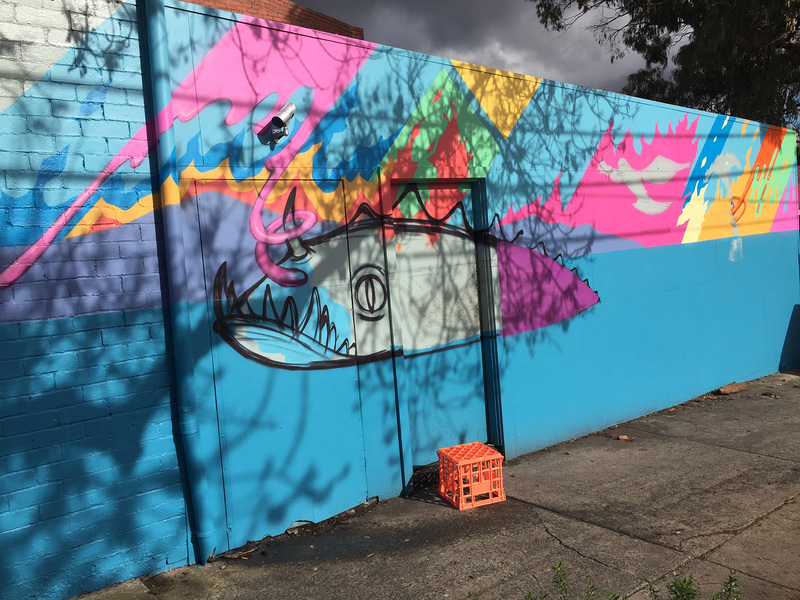 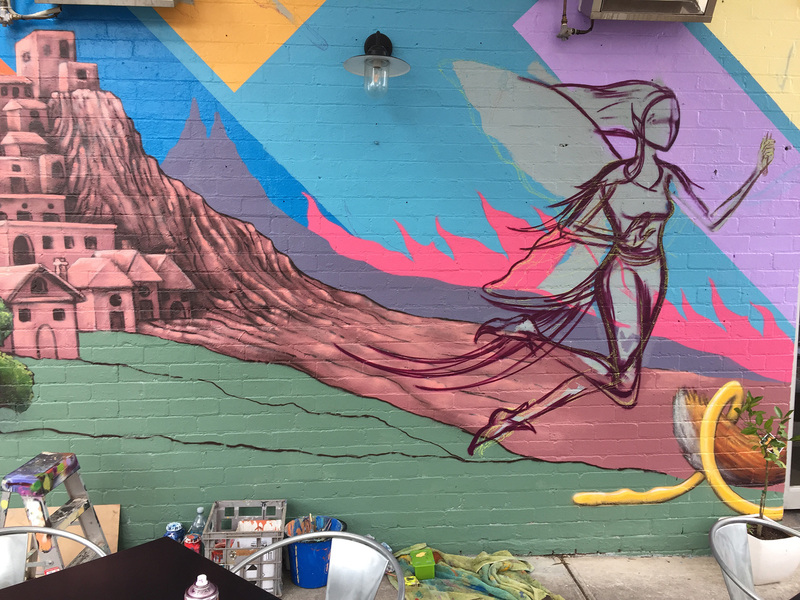 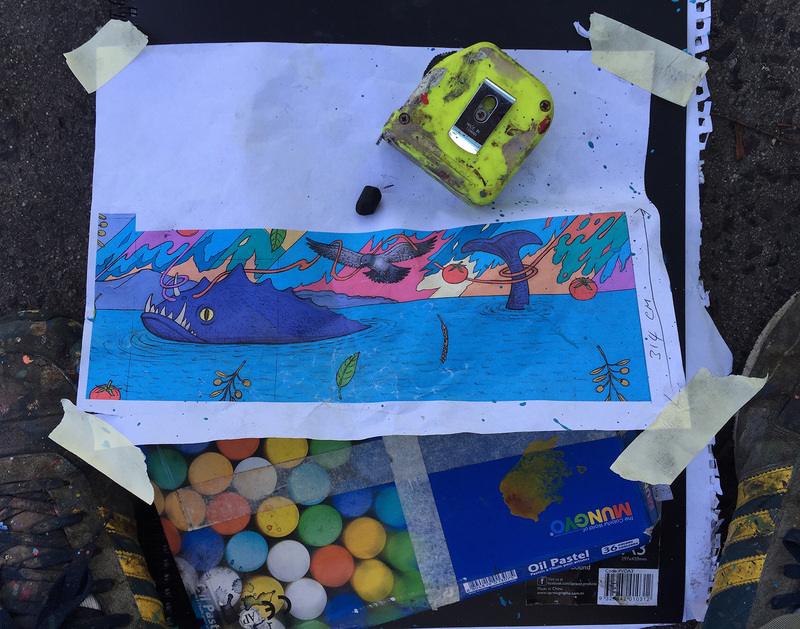 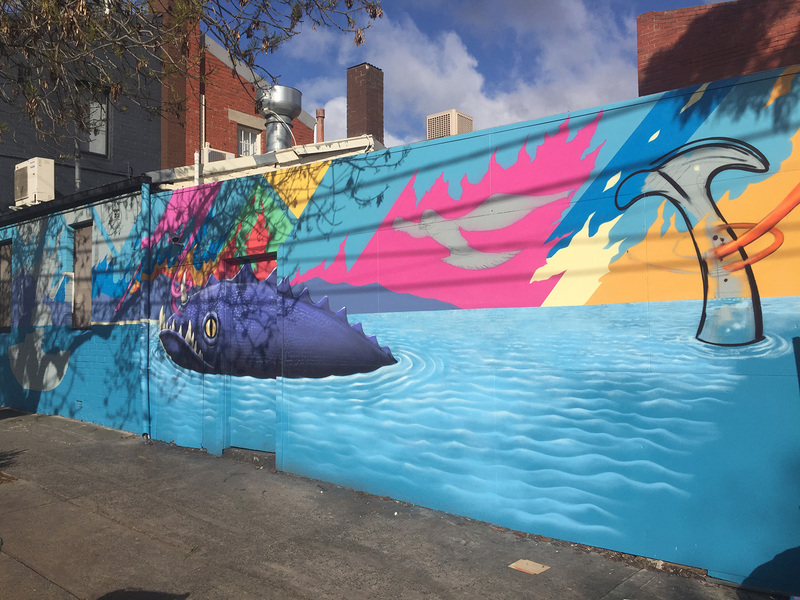 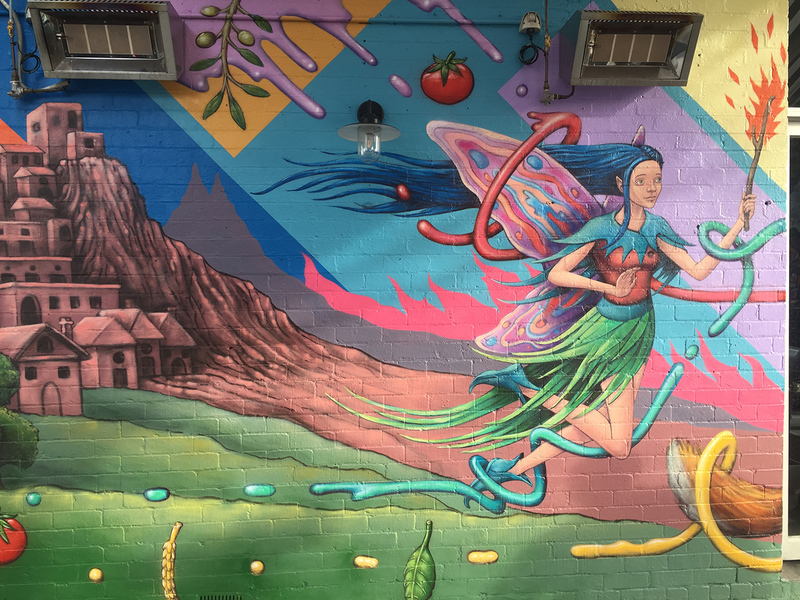 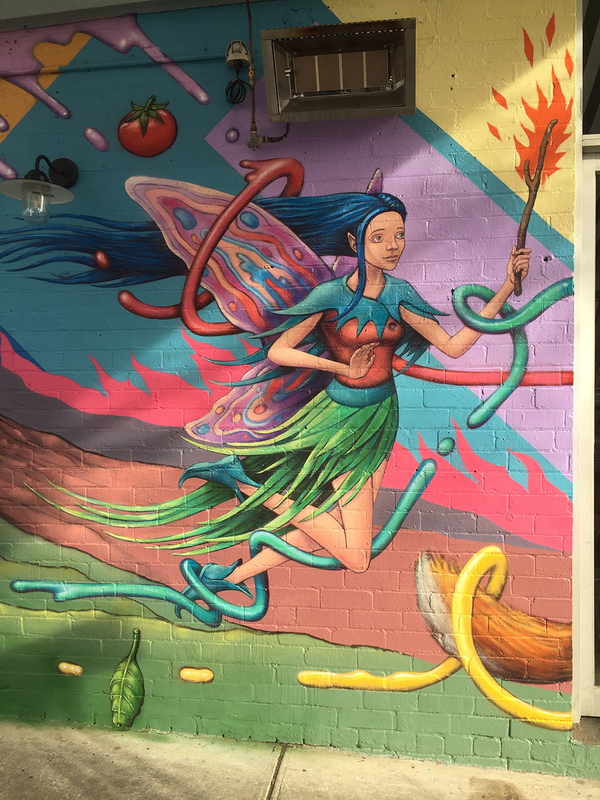 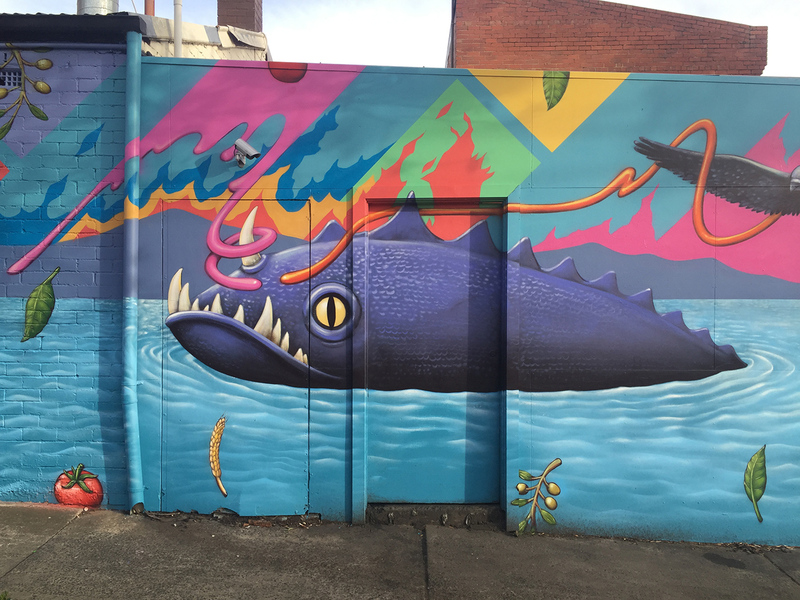 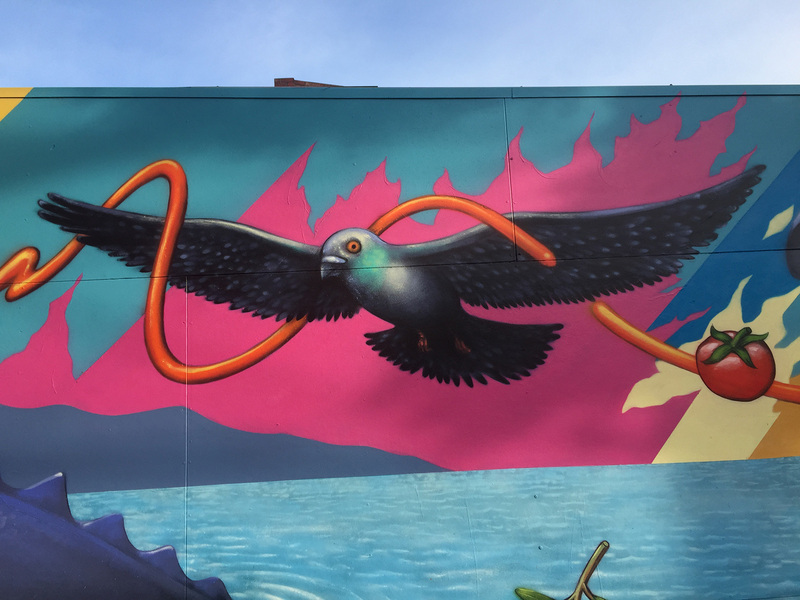 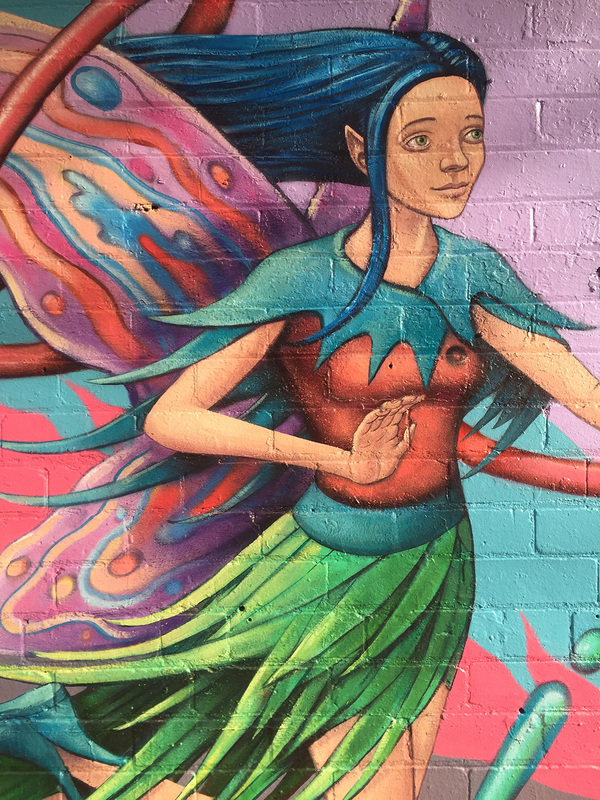 Here is a music video of the finished mural, and below are multiple images of the finished work, detail shots, images of the original design as well as progress shots – enjoy!